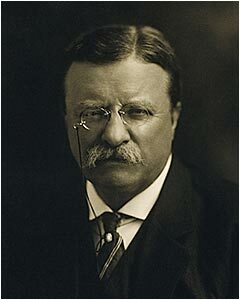 Abraham Lincoln - SIGNED Presidential Appointment from 1864. MUST SEE!! Abraham Lincoln - Artists Proof Engraving by William E. Marshall - MUST SEE!! John Quincy Adams - Just Arrived - TWO SIGNED Presidential Land Grants - 1827 - MUST SEE!! Andrew Jackson - EXTREMELY RARE Signed Check! Belongs in a museum! James and Lucretia Garfield Signatures - Spectacular Museum Quality piece with stunning framing. MUST SEE! Dwight Eisenhower - Beautiful framed vintage autograph and President Elect letter. 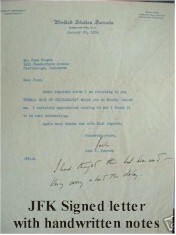 John F Kennedy - Incredible RARE signed letters "Jack" with RARE handwritten note at bottom. From Jan. 1954 just before he started using autopen. A real great find! Woodrow Wilson - Vintage signed, handwritten envelop. George Bush "41" - VERY RARE Handwritten letter as Ambassador. Bonnie and Clyde - ORIGINAL WANTED POSTER and Original Photos from Floyd Hamilton.. Great piece of history!! John Dillinger - Incredible Original WANTED Poster - MUST SEE!! Indenture - From 1680!! MUST SEE! 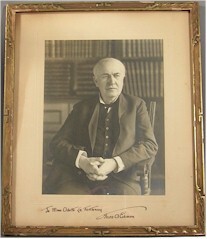 Thomas Edison - STUNNING Vintage SIGNED photo - MUST SEE!!! William Cullen Bryant - "The Great American Poet" of the 19th century. Handwritten letter.